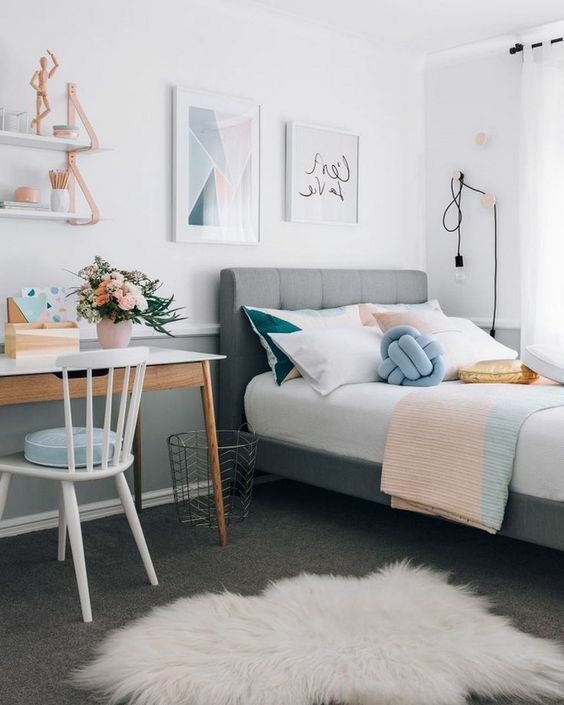 homesfornh.com – Do you want to have a simple bedroom but feel comfortable? 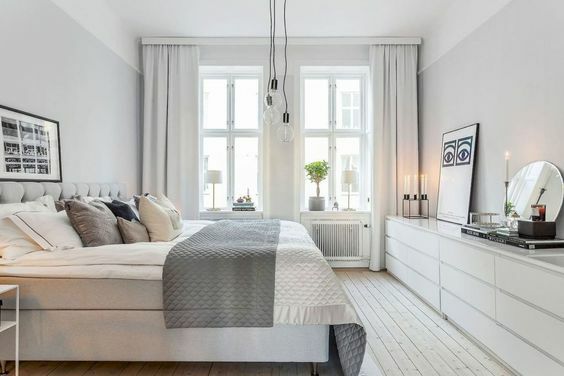 You can apply a Scandinavian style to your bedroom. It will make your bedroom look simple, clean, and large. This is why many people like this style. Scandinavian style has existed since the 1950s. This style was introduced at exhibitions in America and Canada. And began to be famous again in 2016. If you want to apply this style to your room, let’s check the pictures above. We have provided the best pictures of Beautify The Bedroom with Scandinavian Style. 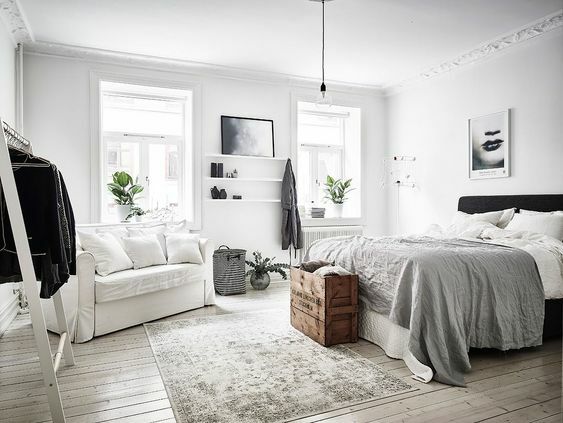 One of the characteristics of Scandinavian style is using white as a base of the room. Like the picture above, you can see the wall and furniture are white. 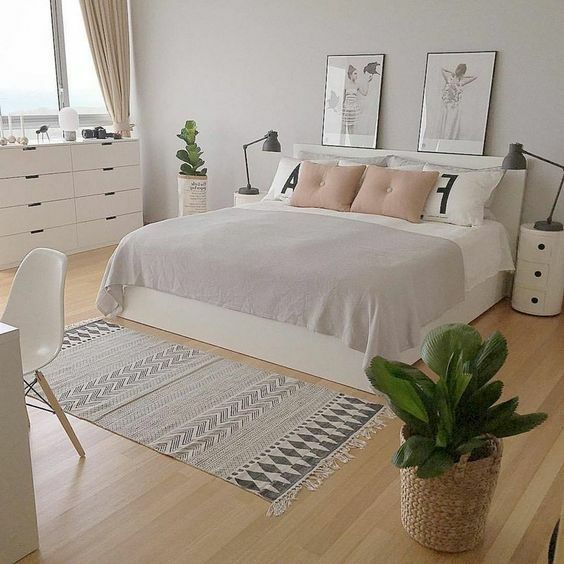 White will give a large impression to your room. Besides, your room will look clean. 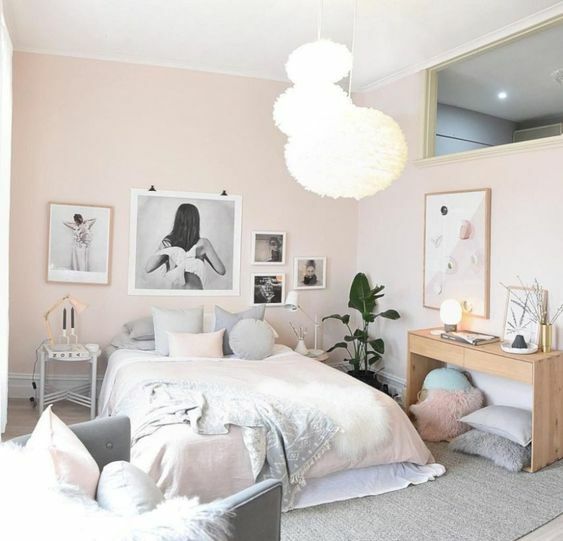 If you want to make your Scandinavian room look sweeter, using the pastel colors is a great idea. Pastel colors will make you feel comfortable when you are there. 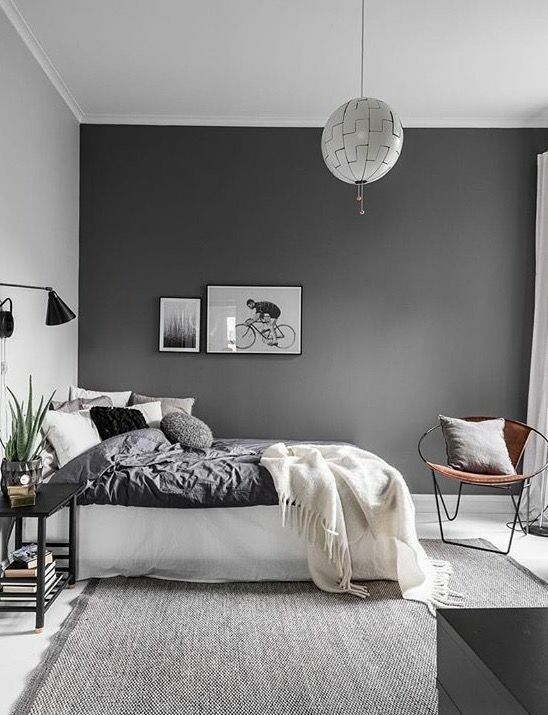 For Scandinavian style, black and white is the best combination color. It can be applied by man and woman. These color will make your room look aesthetic and of course, will make you feel comfortable and want to linger here. 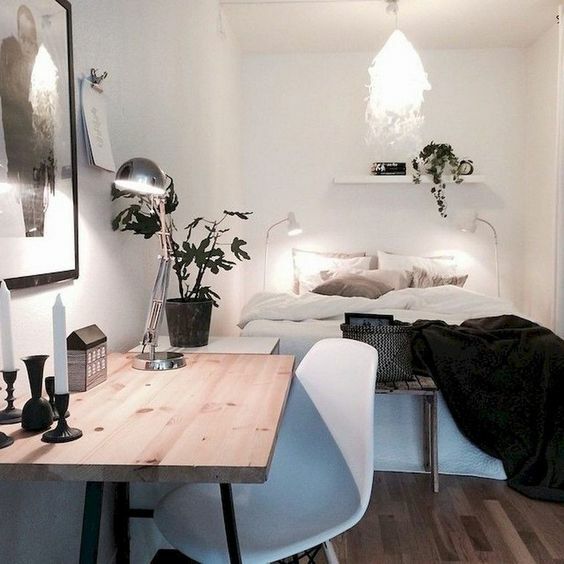 Do you want to have a sweeter Scandinavian bedroom? If you do, you can add small plants to your room. It will make the appearance and the atmosphere in your room better. You can put it on the table or on the hanging shelf. In addition, the plant will make your room feel cozier. For those of you who like colorful colors, you can also use it for your Scandinavian bedroom. With this, your room won’t look monotonous. You can play colors on bed linen and pillows. 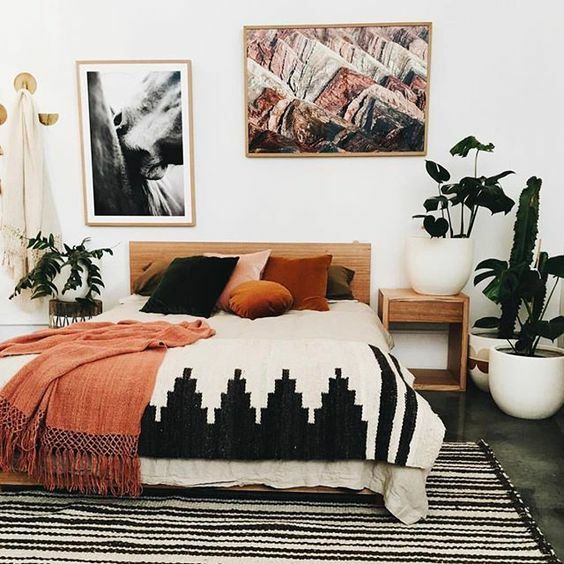 To make your room look more filled, you can add a big rug. A big rug will make your small room look large too. To beautify your room, hang the picture on the wall is a great idea. In this way, your Scandinavian will look sweeter and attractive. You can choose the sketch picture or anything else. Simple furniture that does not take up much space is a characteristic of the Scandinavian style. So, it’s no wonder that many people use this style for their rooms. In addition, this style is very suitable for those of you who have a minimalize room. You only need to use the furniture you need and arrange it as neatly as possible. One of the characteristics of Scandinavian style is using light wood as the floor or wall. It will give a warm impression to your room. So, your room will feel cozy. Because the Scandinavian style uses bright colors, use a large window for your room. The incoming lighting will make your room look brighter and do not feel stifled. Especially for those of you who have a minimalize room, a large window will be very useful. Those are the pictures of Beautify The Bedroom with Scandinavian Style. You do not need complicated furniture for this style. You just need to be painstaking and smart in arranging the furniture. In addition, the combination of the colors must be considered.